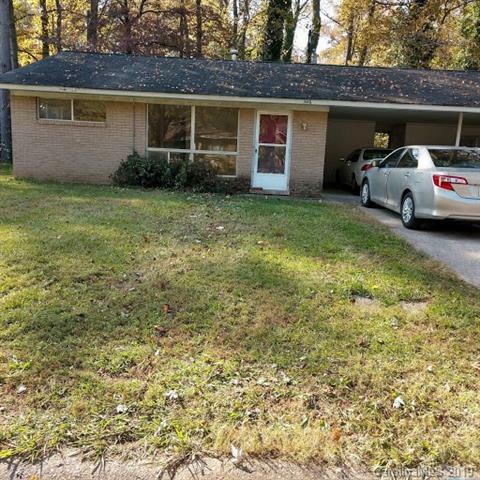 Well maintained, Duplex, 2 bedrooms, one bath central air and heat is 6 years old. Laundry area off from kitchen. Carport separates other unit, tenants have no common walls. Storage room on carport. Tenant occupied, rented at $750 per month, lease ends November 30, 2019. Do not disturb tenant. Unit can be viewed and inspected during Due Diligence period with Listing Broker when Offer has been accepted. Offers are to be submitted by 5:00 pm January 30, 2019 with Proof of Funds. Submit Highest and Best Offer. Property sold "as is". Seller knows of no known repairs. Lot dimensions are approximate. Offered by Gwen Roberts Realty. Copyright 2019 Carolina Multiple Listing Services. All rights reserved.